The Lackmond TK4.5SPP 4.5 in. 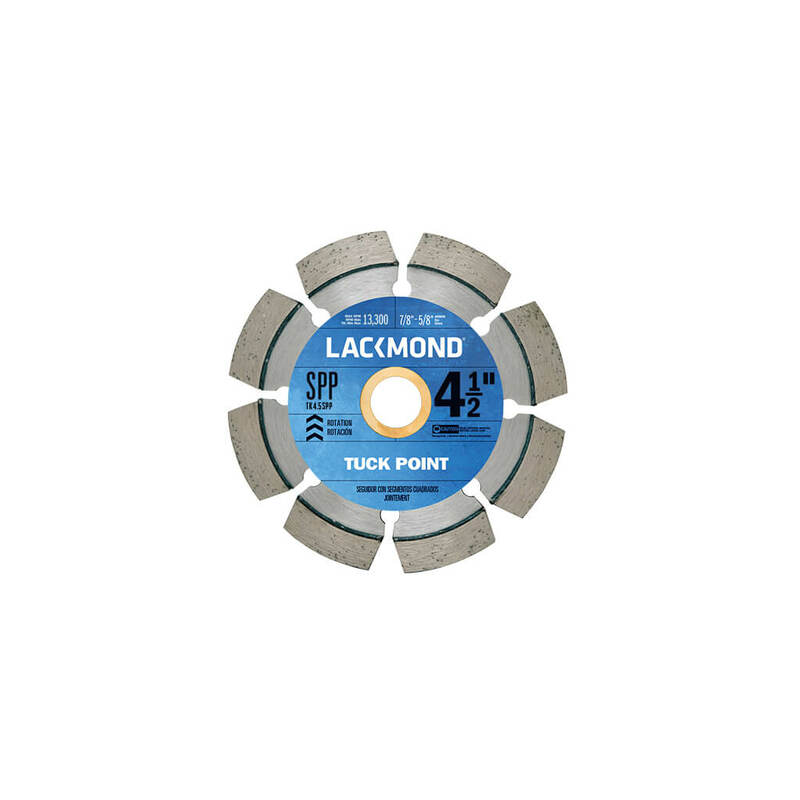 SPP Series Tuck Point Blade is designed to grind out and repair mortar joints in stone or brick masonry walls. They are an excellent cost-performance value and provide very fast, clean cuts in mortar and grout joints. The SPL Series Tuck Point Blades work well in both harder and softer aggregates.